Asus launches the Fonepad 8, a smartphone-and-tablet-in-one device, in Asia. 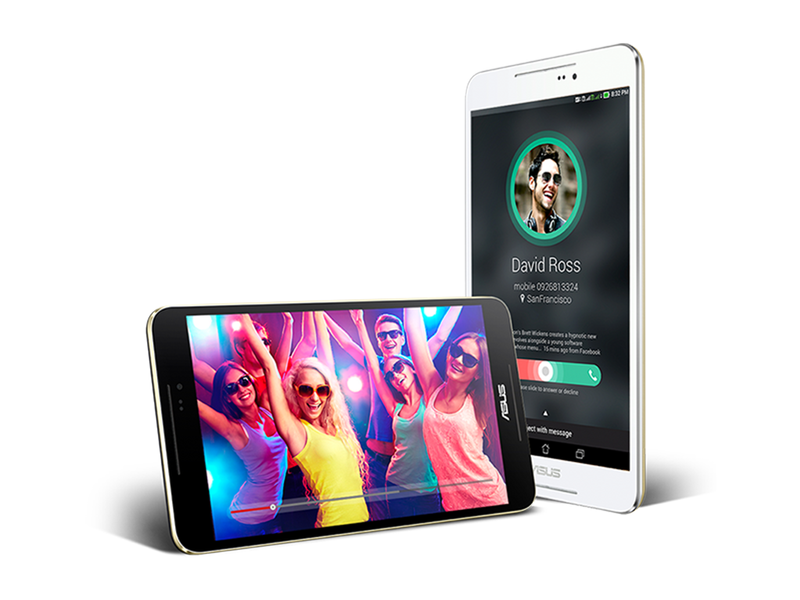 The Fonepad 8 sports an 8-inch IPS display that is powered by a 64-bit, 1.8 GHz quad-core Intel Atom Z3560 processor. It features 1 GB of RAM, 8/ 16 GB of Internal Memory, 5 MP rear camera, 2 MP front camera and stereo speakers. The device runs on Android 4.4 KitKat Operating System. The Fonepad is available in Black, White, Red and Gold. It is set to launch in Singapore and Malaysia for $230 (299 SGD) and $199 (649 MYR), respectively. It will probably be available in other regions soon too.